Looking for a little mid-week pampering? The Marilyn Monroe Spas is getting ready to celebrate its newest spa location at Manchester Grand Hyatt! 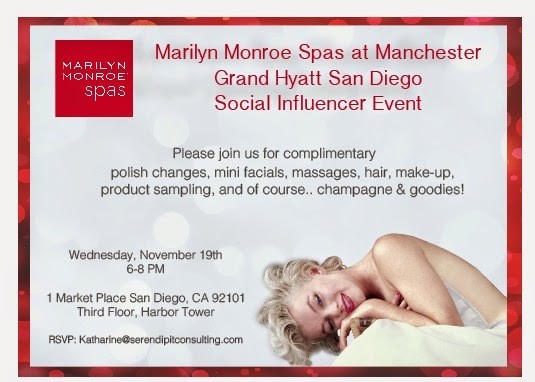 Social influencers are invited to attend Marilyn Monroe Spas' exclusive event, featuring complimentary mini treatments, light bites and beauty samples. Space is limited, so put in your RSVP fast! When: Wednesday, November 19 from 6 p.m. to 8 p.m.